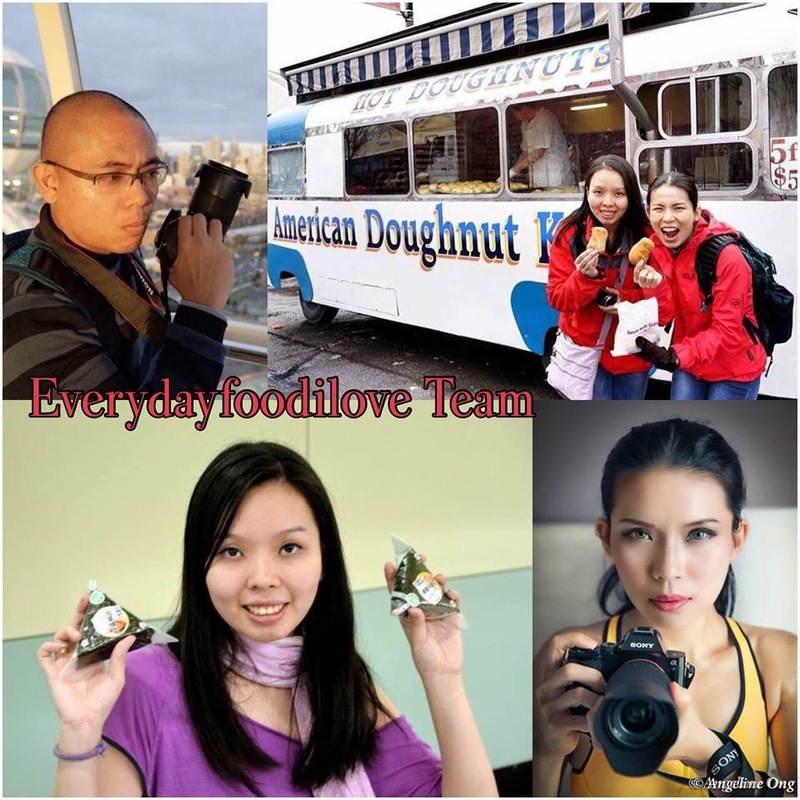 Home-cooked food delivered fresh to your door has recently become a trend in KK. 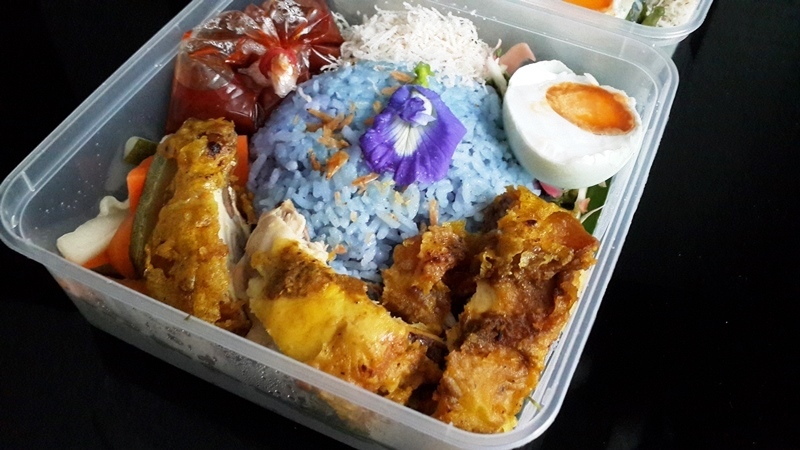 From healthy bento, local home-cooked to special Nasi Kerabu, you can easily find it on Facebook. 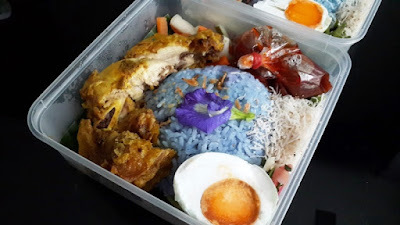 Available from Thursday to Saturday, Uncle Garry Recipe offers delicious Nasi Kerabu with the choice of Fried Chicken or Fish. 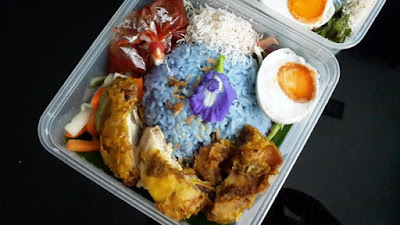 Each set cost RM10 and its come with Fried Chicken/Fish, salted egg, Sambal, coconut and a few types of veggies served with blue rice. 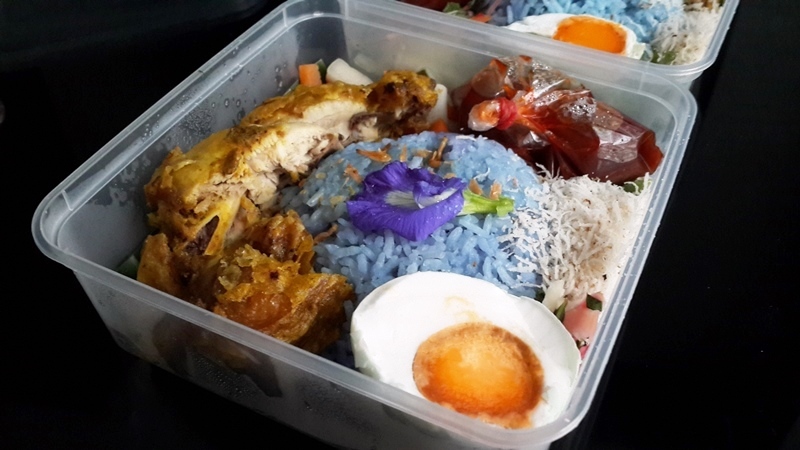 The blue colour of the rice is the result from the petals of butterfly-pea flowers used in cooking it. Although it wasn't an authentic Kelantan's nasi kerabu, Uncle Garry's Nasi Kerabu has its own unique flavours.